CoMoGives visits the Columbia Arts Fund and the Mary Lee Johnston Community Learning Center (MLJCLC) about how nonprofits better our community. Check out this short video and find out the ways these two nonprofit organizations protect and educate our community. Video generously created by Stephens College Film Major, Clara Canfield. Check out this short video and find out what these two nonprofit organizations do to help strengthen our community. Many of Columbia’s nonprofit organizations focus on the well being of those who live in and around our city. Giving locally is a sentiment heard often in our community; shop local initiatives heighten awareness for the importance of our neighbors throughout the holiday season. A few nonprofit organizations bring resources from our citizens to neighbors a bit farther away than walking distance. They build community abroad, bringing with them the neighborly spirit of our city, and give back to our community by taking home experiences and perspectives earned after taking care of others in need. Over 200 local volunteers make and donate hand-cranked, all terrain wheelchairs that provide the gift of mobility. Many of the building supplies used by PET-Columbia come from local area businesses. Limited mobility means isolation, depression and daily struggle for the basics in life. PET gives people an opportunity for a life of pride, dignity, hope and productivity. “Our volunteers give themselves and know they have changed the lives of persons who have been crawling on the ground,” said Mel. PET works with countless other organizations both internationally and locally to provide the financial resources, volunteers, and resources needed for distribution of transportation vehicles. Last year PET’s hand-cranked wheelchairs were packed into a 40-foot container destined for Kutaisi, Georgia, along with more than $300,000 of supplies including: reconditioned sewing machines and fabric for teachers and needy families, shoes for refugee adults and children, art and crafts supplies for young diabetic campers, and medical books and journals for students and doctors. A Call to Serve International (ACTS) brought together dozens of local volunteers, donors, businesses and organizations to supply, organize and fund these resources that traveled halfway around the world. “Each partnering individual and group has a heart for those far away who have little to their names, but still hope for a bright future for their children and for their country to become a successful democracy,” shared Delores Shearon of ACTS International. These organizations know that the efforts of Columbia’s volunteers build and strengthen communities abroad and also strengthen our own community by bringing the experiences and knowledge back home. These experiences give perspective to our citizens and help develop well-rounded leaders with a heightened global perspective. The members of our community are unselfish, volunteer minded humanitarians; through their physical labor and monetary support nonprofits in our community can bring a piece of the Columbia spirit abroad. Give these organizations the boost they need to continue bringing aid to others and help give our community the knowledge and experiences only these groups of generous people can deliver. Donate now at CoMoGives.com. CoMoGives talks with “We Always Swing”® Jazz Series and Job Point about the impact of our local, Columbia non-profits. Check out this short video and find out what these two non-profit organizations do to help strengthen our community. CoMoGives talks with the Central Missouri Humane Society and Voluntary Action Center (VAC) about non-profits in our communities. Check out this short video and find out how these non-profit organizations give back to our community. Everyone has been touched by a story. A tale of the triumph of good. The turning point in a life of hardships. Some people hear the “comeback” story and become inspired. But for some individuals the story is real. These people are stuck in an endless cycle of darkness and they can’t seem to turn things around; people that feel abandoned, ignored, helpless. Nonprofit organizations in our community create “comeback” stories every day. They strengthen our community by providing specialized services to rebuild a challenging situation into a positive future. They empower the turning point to build the “comeback”. Nonprofit organizations help citizens of our community improve their lives starting at the root level with behavioral therapeutic services, assistance finding their place in a community, and finding and sustaining an occupation. This results in self-reliant, fully functioning members of society who can build a foundation to a future they would not otherwise achieve. 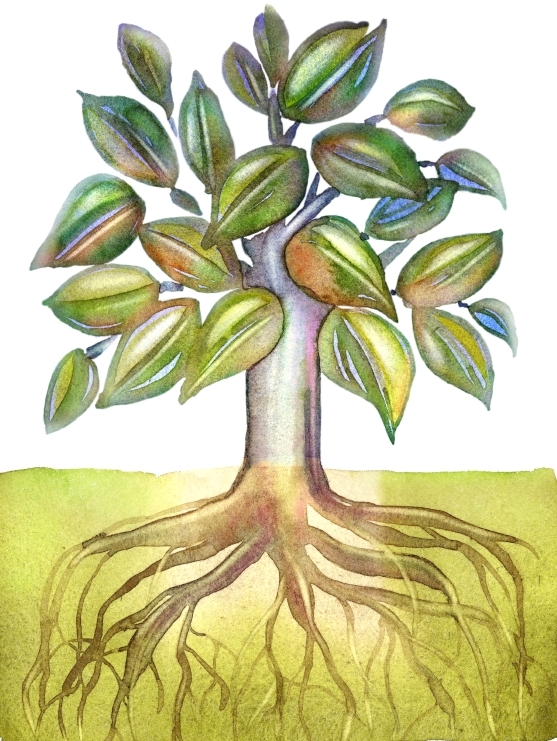 Creating a stable mental foundation is the first step toward developing skills to handle life’s challenges. Great Circle has been serving families and children in Boone County for more than 13 years, providing intensive, 24/7 therapeutic treatment, special education and community-based services. The organization is an excellent resource for families and youth with a wide variety of behavioral health and learning challenges , helping to garner the tools and support they need to succeed in life. Erik, now 18, was born in Guatemala and placed in an orphanage at an early age. Erik and his siblings were brought to the United States by a couple who offered the hope of a new home and family. But sadly, Erik and his siblings were removed from the home due to abuse and neglect. Although Erik was eventually adopted by loving parents, he harbored a great deal of anger from the years of neglect and abuse he had endured; it became too much for his adopted parents. Erik became a resident of Great Circle’s 24/7 Intensive Treatment Residential Program and with the support of his adoptive parents and the caring staff at Great Circle, Erik found a place where he could heal from the emotional and physical pain and find purpose and direction in his life. Love INC avoids the “bandaid” mentality promoted by the cash assistance programs that are so costly to communities. 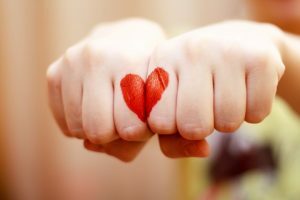 Love INC promotes independence by fostering life skills, coaching towards meaningful relationships, and addressing underlying issues that adversely affect participants. Their programs include Clearinghouse, Life Coaching, Budget Counseling, Job Search Assistance, Living Large, and The Love Seat Furniture Ministry. Recently a South American husband and wife enhanced their quality of life by participating in Love INC’s programs. Through the Side by Side job search coaching the husband successfully maintained a steady job; utilizing the Extra Mile money management program the family reduced their debt by an amazing $4,000 at the end of the 6 month coaching period. Becoming a part of a new community, especially in a different country, can be daunting and overwhelming. Centro Latino is an organization adept at providing guidance and assistance to immigrants as they become acclimated to their new environment with its different laws, customs and language. “The mission of Centro Latino,” shared Eduardo Crespi of Centro Latino, “is to empower Latinos, Latino families and the general public through an array of services and guidance in navigating the health, education and cultural resources of mid-Missouri.” One family at a time, that is how Centro Latino contributes to rebuilding the future of Latino families in our community. Guadalupe R. came to Centro Latino because she had a toothache, which resulted in a dental infection that needed surgery. After being helped with her health needs, Guadalupe started taking English classes at Centro Latino and brought her children, who were failing in school, to the after school tutoring program. Because the family has become better at speaking English, Guadalupe was able to get a better paying job and her children are improving at school. Once our citizens, immigrants and residents alike, feel more comfortable in their community, they are more prepared to take the next step in building their future. The Central Missouri Community Action Center’s (CMCA) mission is to empower individuals and families to achieve self-reliance by providing assistance to alleviate immediate crises and establish long term, high impact strategies that move people out of poverty. “As of April 15, 2014, I will be moving from the place I am renting and letting go of the assistance of Section 8 housing. 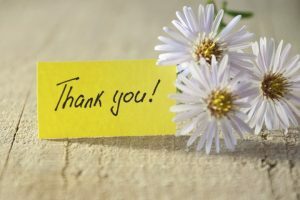 I want to take this opportunity to thank you for all of your help. My children and I are grateful for your assistance over the years to help us get back on our feet,” wrote one CMCA beneficiary. As people continue working toward becoming self-reliant, functioning members of society a foundation is developed, allowing for even larger life-changing steps toward rebuilding their future, like finding and maintaining employment. Since 1965, Job Point has been linking people and jobs through innovative training, education and business partnerships, enriching the communities where we work and live. Zach Vaughn came to Job Point as a teen parent with a legal record and no high school diploma. Zach enrolled in the YouthBuild program in October 2011, but realized he was not ready for the hard work and dedication required of the program. About a year later, he re-enrolled, fully aware of the expectations and committed to success. He graduated from the program and earned a scholarship through AmeriCorps as a result of community service in his second year at Moberly Area Community College. Zach is a solid role model for his sons (ages six and eight) and an inspiration for other YouthBuild students. Because of his exceptional personal and vocational accomplishments, Zach was honored with Job Point’s Award of Excellence. Rather than act as a drain on public resources, individuals achieve economic independence. Newly trained graduates enter the workforce and become productive, tax-paying citizens. The turning points come in all shapes and sizes. These nonprofits specialize in seeking people and areas on the verge on a turning point. They offer the financial support, tutoring, shelter, sustenance or support our citizens need to build their turning point into a “comeback”. When our fellow citizens suffer the community, as a whole, suffers. Keep our community flourishing. Donate December 1-31st at CoMoGives.com. Every journey has a beginning. The leaders that sculpt our community started out just like everyone else: students, learners being groomed as tomorrow’s leaders. Somewhere along the way someone inspired them to take the next step in their journey, which eventually lead them to the forefront of our community. Some inspired by parents, coaches or teachers, others by well placed volunteers. Many members of Columbia’s nonprofit community actively shape the young members of our city into bright, confident and productive adults. These organizations connect and educate by focusing on the little things like books, dance, classrooms and kittens, to allow them to excel in larger ways like goals, graduation, problem solving, teamwork and marketable career skills. Chrissie Dickson of Jumpstart works daily, matching trained mentors with children living in poverty to ensure all Columbia children are prepared for school success. Through providing language and literacy tutoring, Jumpstart members work to close the achievement gap. “Among today’s preschool children sit our future presidents, scientists, entrepreneurs and teachers. But not all children begin the race of life on equal footing. Why should a zip code dictate a child’s success?” questions Dickson. Preschool children living in poverty often come to school nearly 60% behind their peers. Jumpstart tutors hundreds of children each year, helping to “jumpstart” a lifetime of learning for each child. The Daniel Boone Regional Library provides library services to three library districts in Missouri: Boone County, Callaway County and the Columbia District. The Columbia Public Library serves as headquarters, with other libraries in the system include the Callaway County Public Library and the Southern Boone County Public Library. Each library has an unstructured play area where kids can practice social and motor skills, and an iPad station with an age-appropriate app kids can interact with. Encouraging family bonding, the DBRL offers a number of activities parents and children can engage in at home. With a variety of literacy-building kits available for checkout, parents and/or caregivers and children can read books, play with toys, watch DVDs or listen to music along with activity suggestions. But the library’s reach expands beyond our city by sharing resources with our neighboring towns not served by a library building. The Bookmobile, Jr. spreads the library love to 25 licensed child care centers. Library-To-Go lockers allow Hallsville and Holts Summit patrons to pick up library materials. During Summer months, students grades 1-12, in eight neighboring communities, are mailed materials through the Books by Snail program. Second Chance teams up with Boy Scouts and Girl Scouts providing volunteer opportunities to develop leadership skills. Girl Scout troops practice project management and communication skills while managing successful donation and fund drives benefitting the organization. Boy Scouts spend time building additions to the Second Chance facility, teaching them how to problem solve and exercise teamwork while earning their Eagle Scout badges. EnCircle Technologies promotes problem solving and project management, as well, in a setting tailored to the learning style of their students. EnCircle fits bright but underutilized high school graduates with autism with an appropriate learning environment to develop career skills building on their individual strengths. “At EnCircle, we know that there’s an inner track for these individuals in a learning space created for them. Therefore, we’ve done that,” said Teri Walden, executive director. Also providing important life experiences and instilling confidence is the Momentum Youth Performance. “Developing artistic talents and giving them competitive performance opportunities builds strong, confident youths,” explained Steve Bell, executive director of Momentum Youth Performance. “Students involved are prepared to take learned skill sets, such as the benefit of work ethics, teamwork, and leadership service along with the realization that achieving goals beyond their own expectation is possible out into the community,” added Steve. Here, artistic young athletes build confidence by setting goals and working as a team to compete in color guard competitions with the Esprit de Corps Ensemble. While competition is definitely in the nature of the group, personal growth is the heart of Momentum’s mission. Volunteers and nonprofit organizations impact the journeys of so many in our community, many through a common goal of strengthening the minds and skills of the young individuals destined will be our future leaders. Support these organizations, support the journey of others. Give today at CoMoGives.com. Sometimes it takes more than just a moving van to transition a person from one point on the map to another. For some it’s acquiring a life skill, while for others it’s finding comfort on the other side of a devastating setback. As life unfolds and the unexpected arises, our nonprofit organizations connect with citizens, strengthening our community by transitioning families, individuals, pets and even areas of town with community resources. 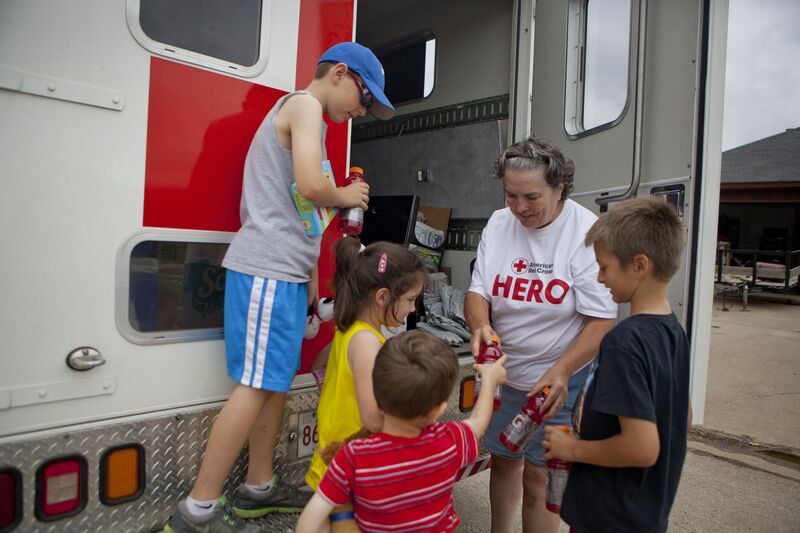 When life-changing catastrophe strikes, the American Red Cross volunteers arrive not only to provide for the physical needs of people, but to offer support and the promise that tomorrow will be a better day. A Columbia family left their home on a beautiful late summer Sunday in September to spend some time fishing together. Their idyllic afternoon turned tragic when they returned home and found their way blocked by the fire department. The life they had known only hours before changed when flames swept through their residence. The family contacted the American Red Cross Heart of Missouri Chapter. The Red Cross provided the family with financial resources for food, temporary lodging and personal hygiene items. The children were offered something they could grab onto – a small Mickey Mouse toy. The caseworker also provided advice on cleaning the smoke smell from clothes along with encouragement for the family to continue the recovery process. Combined with other organizations, the Red Cross compiles clothing, household items and provides shelter when a family is suddenly without such amenities. These efforts create a solid foundation for individuals and families who have experienced a disaster to rebuild their lives. Unfortunately during catastrophes household pets can end up homeless as well. In the chaos, they get out, become lost; they end up running away not knowing what else to do or where else to go. The Central Missouri Humane Society (CMHS) is the first to take in our furry friends and offer them food and shelter. Because the shelter has an “open door” policy and accepts stray and owned animals in Boone County, CMHS can be quite a busy environment. To keep the place running in top condition, they rely on the kindness of volunteers who help socialize cats, take dogs for walks, and help out with other easy yet necessary tasks. Included in the CMHS volunteer program are opportunities for community citizens with special needs or disabilities. With adequate supervision, these animal fans can interact with the pets, building both people and animal socialization skills. Support of people in our community who are affected by disabilities is important in developing a whole society. “A community is strengthened when it is inclusive and representative of all that it embodies,” pointed out Kalynn Ramsey of Alternative Community Training (ACT). ACT is a nonprofit offering positive learning experiences to our special needs citizens who are often overlooked, ignored or dismissed. ACT provides direct, personalized service aimed at overcoming marginalization, unemployment, poverty, isolation, or mistreatment of people who are affected by physical, intellectual or other disabilities. ACT and other contributing organizations partner together for the STEP (Seamless Transition through Enhanced Partnership) program, enabling students with disabilities to learn important job skills that assist with transition from student to employee after graduation. While illiteracy isn’t always labeled a disability, it is a concern in our community for local citizens and immigrants alike. The St. Louis Dispatch estimated 7% of Missouri adults lack basic prose reading skills in their 2003 survey. The Literacy Action Corps of Columbia (LAC) focuses on lowering that statistic by improving the reading, writing and/or English skills of local adults. LAC’s “Each One, Teach One” concept matches individual students and trained tutors from the community. The paring focuses the energy of a LAC-trained tutor on a motivated student to collaborate for significant positive change: individuals become more self-reliant, productive members of the community and achieve goals they set for themselves. Igor Lozichniy and Lana Lozichnaya slowly acclimated to life in Columbia, Missouri, after relocating from Azerbaijan. Lana attended meetings with International Friends and from there she and her husband were referred to LAC. LAC matched Igor with a tutor and together they began to work toward Igor’s goal of becoming a US citizen. For months, Igor and his tutor explored and practiced the questions on the citizenship test. Igor’s hard work with his tutor paid off–in 2011, he proudly became a U.S. citizen, Lana in 2012. They no longer endure the stress of not being citizens and are able to move on to the next chapter of life in their new home. “LAC’s work benefits our community by empowering individuals and increasing community involvement,” shared Elizabeth Stepanovic of LAC. “We help people achieve their life goals, complete job applications, pass a driver’s test, become a US citizen, write a letter, or read to their children. Regardless of their reading level or proficiency of the English language, LAC students increase their quality of life, enabling them to realize goals and increase self-reliance and productivity. These skills assist students to transition into the next chapter of their lives. Columbia Center for Urban Agriculture (CCUA) is a local nonprofit providing a different type of transition by providing healthy, grounding activities that bring our community together in unique ways. 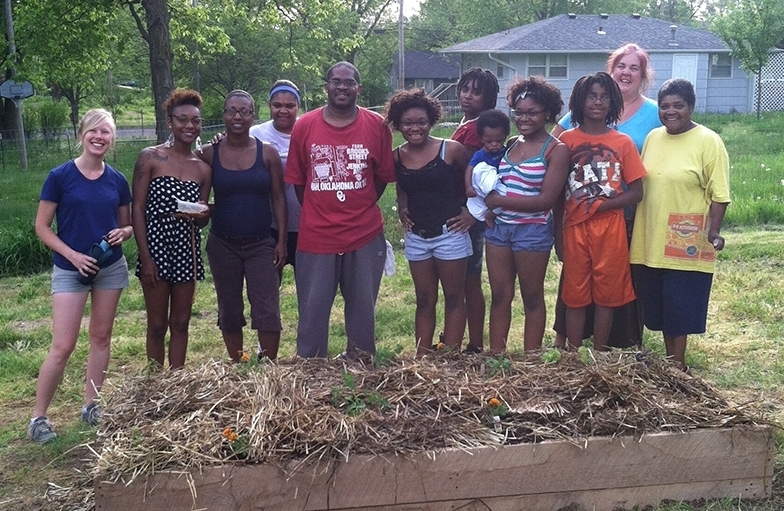 Their Opportunity Gardens program teaches and mentors low-income families through establishing and caring for a home garden, helping them climb the learning curve over three years of one-on-one mentoring. CCUA also manages a 1.3 acre educational Urban Farm in central Columbia. In 2014 CCUA donated 18,342 servings of fresh produce to three local food pantries through their “Planting for the Pantry” program, and provided educational “Farm Experiences” to over 1,011 students and adults at the Urban Farm. CCUA’s programs transition families, friends, people and neighborhoods by creating a common connection rooted in good food. Moving areas and citizens away from adversity and developing them into a positive, safe and welcoming community. Our local nonprofit organizations reach out in moments of transition, moving our community members to a new and better place by building life skills, offering comfort, growing gardens, and in the case of our furry friends, even finding new homes. By offering help to your neighbors in transition you can build a stronger Columbia one move at a time. Donate to these organizations today on ComoGives.com. So many nonprofit organizations work to provide the tangible needs for those who go without such comforts. But what about those who work to spread a message, educate or advocate? They work to build awareness and acceptance, projecting ideas that shape the culture of our community. These organizations strengthen our intellect, leaving our citizens better informed, more worldly, open minded and possibly even more in touch with our own roots. Some organizations, such as Ragtag Film Society, act as platforms to spread a message. “Film is a very powerful medium for change,”advised Tracy Lane, executive director of Ragtag Film Society. In August this year Ragtag Cinema screened Two: The Story of Roman and Nyro, a film that sold out for the scheduled two consecutive showings and sent waves of conversation though the community. The movie follows music legend Desmond Child and his lifelong partner’s loving journey to create their own modern family. Ragtag’s annual True/False Film Fest offers an intense month-long program for high school students interested in filmmaking. Their education outreach coordinators work with local educators and students, training young people to become the next generation of filmmakers and critics, as well as better informed citizens. The Central Missouri Stop Human Trafficking Coalition also uses film to impress upon audiences the seriousness of their cause. In spring of this year 900 Rock Bridge High School students viewed a 45 minute segment of Nefarious: Merchant of Souls, a documentary exposing the sad yet real existence of slavery in the world today. Experiencing a situation second hand, through the eyes of another, creates a powerful message. As our culture has evolved toward mass agriculture and away from self sustenance, our children may not know where the food they eat comes from, how or where it was grown or who grew it. 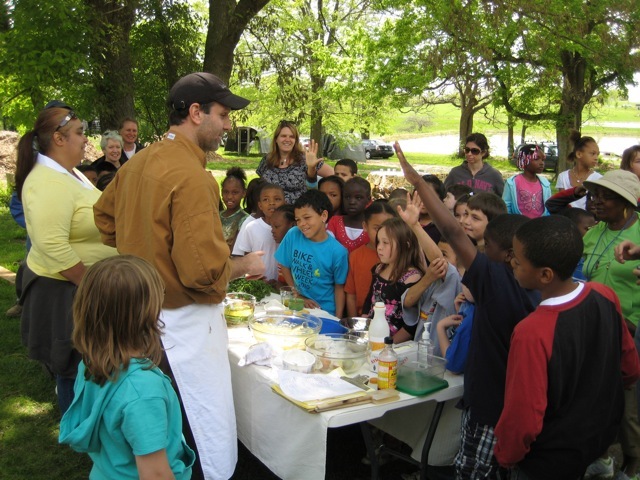 Slow Food Katy Trail brings food awareness to elementary-school children by sharing local farm experiences with them. Each month they choose a seasonal food, a local farmer who produces it, and then they bring the produce and farmer to the school. The farmer talks with students about life on the farm and how the food is produced. Children then enjoy the food in a dish they help prepare. “Many Boone Countians have diet-related health issues. We feel that our community benefits when children and their families learn the impact of good food on their health and happiness,” explains Martha Folk, the organization’s co-leader. It is exciting for the children when real farmers come to the school each month to share their food and stories. However, it is quite another thing for the children to board a bus early in the morning and travel to a completely new environment with sights, smells and sounds they never before have experienced.” In April, children took just such a trip to Pierpont Farms and Goatsbeard Farm. “The excitement was palpable,” says Martha. “So many new things to experience for the first time. Each child takes away his or her own new seeds of discovery—many of which we will never know.” On both excursions the children tried new foods produced on the farm, and helped prepare a delicious and nutritious lunch. The PedNet Coalition also has the health of our citizens in mind when advocating to make it easier to walk, bike, use a wheelchair or public transit for transportation in Columbia. In the last year, the organization successfully advocated for projects including the new Grindstone Trail, Bike Boulevard, College Avenue pedestrian safety improvements and the complete overhaul of the public transit system leading to COMO Connect. The transportation improvements spurred by PedNet will serve our community for generations to come, much in the same way the Boone County Historical Society preserves the past for the future. Their many historic sites, museums and galleries provide the community with an invitation to learn about its history, the many people and institutions that made Boone County what it is today. The Missouri Symphony Society also contributes to our community’s culture through music. They make it possible for parents to introduce classical music to their children at a young age, hosting family friendly concerts even parents can enjoy. One patron wrote, “I am so impressed at your ability to provide a smart, beautiful, fun evening without it feeling silly or childish.” They not only provide children an experience of listening and viewing; they also encourage and educate young artists through the Missouri Symphony Conservatory. Their ability to spread awareness of classical music doesn’t stop with children; they also host a series of community concerts at Douglass Park, Stephens Lake Park, the Columbia Senior Center, ACT (Alternative Community Training), the Daniel Boone Regional Library and Shelter Gardens. These concerts make the Missouri Symphony Orchestra available to hundreds, not just those with disposable income. Our culture matters; it’s the experiences afforded to our citizens that develop who we are as a community. Our music, food, trails, history and beliefs all write the story of our future, a future constructed from the building blocks of awareness forged by nonprofit organizations. Funding is necessary to keep our community strong. Donate to a local organization today at CoMoGives.com. Maslow’s Hierarchy of Needs teaches us that there are certain needs which must be met to achieve fulfillment of self. We not only need shelter or food in our bellies, we need to feel uplifted. We need the feeling that we do matter, like we have potential in every aspect of our lives. But what if you don’t have the resources to meet these basic needs? Certain nonprofits provide services within the full spectrum of Maslow’s Hierarchy of Needs: safety and security, necessary healthcare, creative environments, warm meals, a sense of confidence and basic human connection. Providing the aforementioned needs, these nonprofits create an opportunity for the citizens of our community to achieve their full potential, allowing them to feel like a complete, valued person. A teen mom and her baby had been ostracized by those around her and were living out of her car. Someone burnt her car with all her possessions inside, sending her homeless situation from bad to worse. The local Parents As Teachers program, with the resources of FCFC, was able to get this mom and child in a safe place and supply basic needs through Baby Bag and Safe CRIBS program. Along with a safe place to live and those basic supplies, babies need supportive health care in their early stages of life, and as we age, those health care needs continue. Not all of us are fortunate enough to have affordable health care; this is where the Family Health Center (FHC) steps in, working closely with other health service organizations in Columbia, to ensure citizens have access to primary medical, dental and mental health services. The relationships between these healthcare organizations strengthen our community and improve the health of our population. While FHC focuses mainly on the physical health of our community, Access Arts places their focus on mental health stimulated by a creative, open environment. Residents of our community can enrich their lives and stimulate their minds through the creation of art or find a healthy, welcomed escape from an otherwise unfortunate circumstance. 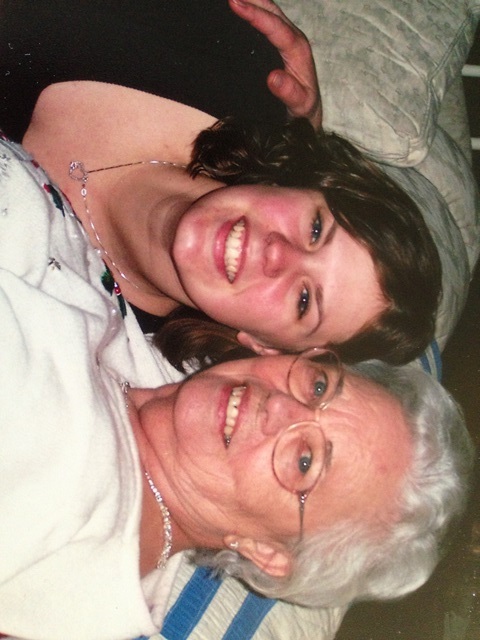 Cathy has advanced stage cancer; treatments seem to do nothing. At times the pain is so great she has difficulty focusing on anything else. However, when she sits down at the loom at Access Arts and begins to weave, her mind centers on that process and everything else melts away, creating a meditation-like experience, leaving her with a sense of peace she can find nowhere else. Access Arts creates a welcoming, supportive learning environment for people of all ages, backgrounds and ability levels, though the fruitful art community provides more than lovely visual works of art. In contrast to those seeking comfort within the walls of Access Arts, many citizens in our community are unable to leave their home due to limited ability or recent hospitalization. For those who need to remain in the comfort of their own home, there is Meals on Wheels. Meals on Wheels delivers hot, nutritious meals to home-bound people of any age, those with limited ability or incentive to shop or cook, and people recovering from recent hospitalization regardless of their ability to pay. Aside from the 100 to 120 hot, nutritious meals generous volunteers deliver daily, they bring meaningful, emotional support to those who may be lonely in their homes. The volunteers offer human contact, interaction and a chance to have a connection to the outside world, to the community. During the meal delivery volunteers are often able to regularly assess the safety of a client’s home and alert loved ones if they notice a fragile senior needed medical attention. While Meals on Wheels offers the comforts of a warm meal, fulfilling the basic physiological needs in Maslow’s Hierarchy in their homes, the Columbia Senior Activity Center supports active seniors by providing a place to come together, make connections and build community. The center hosts activities including, but not limited to: seminars regarding Medicare, exercise classes, line dancing, games and other special events. We have had a recent widow who now comes in every day to visit with others and has volunteered on our dance committee since her husband passed away. She has become more active and engages with other seniors. We have had music concerts which draw in seniors who did not know of our programs. They now participate in art classes and dances, card games etc. Not all seniors have the chance to enjoy the Senior Activity Center. Some struggle just to live in the moment. According to alz.org, every 67 seconds someone in the United States develops Alzheimer’s; these people can often unknowingly put themselves, or others, in dangerous situations. The Alzheimer’s Association provides care, safety and support at no charge to families and individuals living with Alzheimer’s disease and related dementia. The Alzheimer’s Association works closely with the Adult Day Connection (ADC) to provide a safe alternative for individuals with early-stage Alzheimer’s, offering their primary caregivers time to run errands or enjoy much-needed respite.The ADC also allows one of the early-stage attendees to participate every week as a volunteer, maintaining a sense of dignity and self-worth. There is a time in everyone’s life when we are face to face with challenges we have difficulty overcoming by ourselves; we feel alone. Combined, these nonprofit organizations cover the base levels of the human hierarchy of needs. They strengthen our community by providing comfort and support to our citizens in need, taking them one step closer to a sense of safety, security and community. Unfortunately, this kind of assistance can not be funded on good deeds alone. Your donation can ensure it’s available when needed. Donate December 1-31st on CoMoGives.com. The ComoGives Campaign has come to a close. We are truly grateful to all of you who participated for supporting all the participating organizations and the Columbia community. We wouldn’t be here without you! Check out the Leaderboard to see where all of the organizations landed. We couldn’t be more thankful for your donations we’re certain all of the non-profits are busy planning worthwhile activities for their new funds. Nonprofits rely on the kindness of others and your support continually amazes us. Many, many thanks to everyone who participated. We know you’ll be away, don’t miss this chance to give! The big holiday week will soon be upon us! It’s possible you may be traveling to see family or cozying up in your own home. 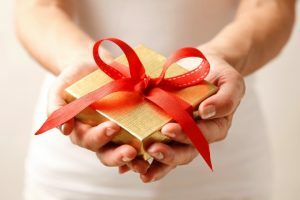 Before you leave town or work, don’t forget to support your favorite local community by donating on CoMoGives.com. This is an excellent chance to support local, nonprofit organizations before you’re off to enjoy time off with family, friends and holiday foods. Visit our donate now page, pick your favorite charity and donate before you forget in next week’s holiday rush. Who needs presents this year? On average, one holiday shopper spends $704.18 on gifts and seasonal items. If only 20 people spend even just $10 of that money on local, nonprofit organizations that’s $200 toward improving our community! Consider making a donation. We appreciate you and all you do to keep our community strong. Big Brothers Big Sisters matches at-risk youth (children ages 6-18 of single parents, prisoners and foster parents) to match with role models. The mentors meet with their “Littles” in the school or the community to enjoy recreational or educational activities resulting in higher aspirations, greater confidence, better relationships, avoidance of risky behaviors and educational success. We have the best kids in Columbia. Even though 92% are on free/reduced lunches and are 1-2 levels behind in reading, they have desire to better themselves. “Bigs” say that they get as much out of having a relationship with their Little than the Little does. 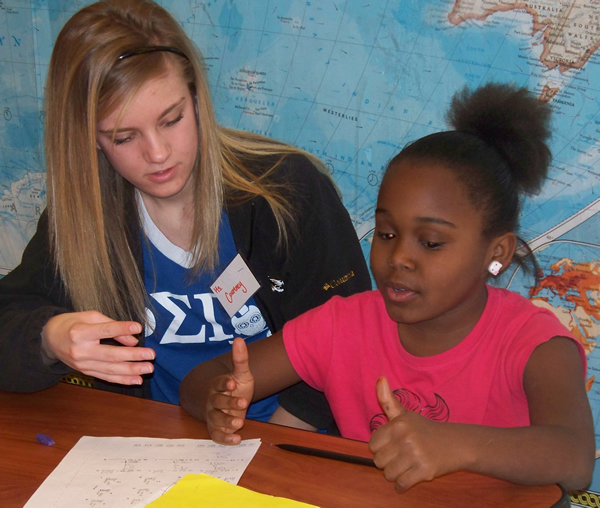 Volunteering gives the Bigs the ability to do something significant, to help mold a life. Research of adults who once had a Big Brother or Big Sister compared to same demographic youth that didn’t have a mentor our adult alumni were: more likely to have a college degree; more likely to make more money; rated their relationships with their spouse, their children and friends higher; and were more likely to be a community leader. Youth need positive role models in their lives. Twenty-nine percent of the children in Boone County are from single parent homes. A Big is a friend who leads, who encourages, teaches, and inspires children to do their best. This friendship can lead to youth finishing their education and becoming volunteers and leaders in our community. We present extraordinary live music and celebrate great musicians. Established in 1970, we are a non-profit arts organization dedicated to enhancing and increasing the awareness of classical and symphonic music. 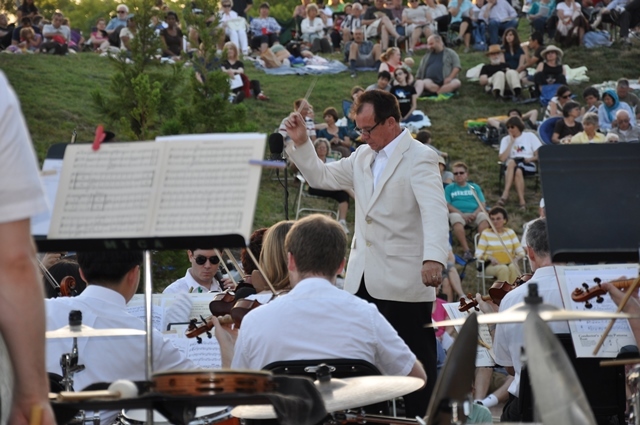 Producing the Hot Summer Nights Festival and educating young musicians through the Missouri Symphony Conservatory are central to our mission. We offer something special–a professional, resident symphony orchestra. Maestro Kirk Trevor is one of the world’s renowned conducting teachers and a sought after guest conductor. We offer young musicians an invaluable experience through our Conservatory and we host the Hot Summer Nights Festival, drawing 10,000 to our downtown over six weeks each summer. Income from purchased concert tickets alone does not cover the necessary expenses. Contributions from generous private donors and supportive businesses are crucial. An orchestra is an extraordinary treasure and a component of the much-heralded quality of life in Columbia. Your contribution will help keep a professional orchestra in mid Missouri. Volunteers for board committees, Conservatory activities, Hot Summer Nights, and the Symphony of Toys Holiday Concert; Women’s Symphony League Holiday Home Tour docents and hospitality planners. In-kind: guest artist lodging, transportation services, media and promotional opportunities. Family Health and Dental Centers exist to provide access to primary medical, dental and mental health services for community members, with emphasis on the medically underserved, to improve the health of the community and to train future health care providers. The uninsured families who financially qualify receive a discount. FHC makes health care accessible even to low income uninsured people. The quality of FHC services are measured against benchmarks nationwide. 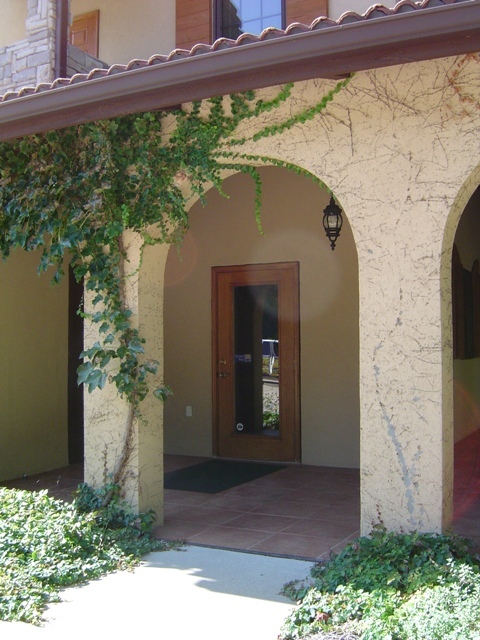 FHC provides holistic care because our services include primary medical, dental and mental health care. FHC discounts services to the uninsured families who financially qualify. FHC receives grants and donations to offset the cost of discounts. FHC receives calls every day requesting medical and dental services that we do not have the capacity to provide. With your contribution we can serve more families and improve the community’s overall health. Volunteers are always needed to assist FHC with a variety of limited clerical, technical or patient-focused duties in our clinics. To become a volunteer, download our Volunteer Application http://form.jotform.us/form/21304734298151 and mail the completed form to our office, or e-mail it to jobs@fhcmo.org. PedNet Coalition is a non-profit organization that promotes active transportation through advocacy and educational programming. We work to make it easier for people to walk, bike, use wheelchairs and public transit. 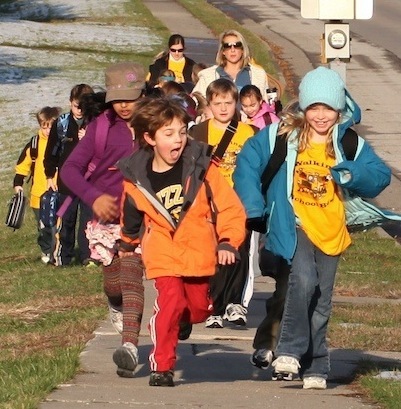 We coordinate the largest Walking School Bus program in the country, as well as the CoMET Campaign to expand public transit. We love what we do and we practice what we preach. Like our 7,000 members, we are pedestrians, cyclists and transit users. We advocate for active transportation with persistence because it makes the world a better place. We are the bike, trails and transit people who make Columbia a great place to use active transportation. PedNet’s work benefits the whole community. Our advocacy campaigns improve the city’s active transportation infrastructure: trails, bike lanes, sidewalks and public transit. And our educational programs show people how safe, convenient and fun it is to use active transportation. We need community support so we can continue working for you. Coyote Hill Christian Children’s Home exists to provide a professional, yet traditional home environment for abused and neglected children. Through licensed counselors and full time, live-in Home Parents, the children of Coyote Hill are ensured a safe & healthy place to grow, learn, laugh and love. The program of Coyote Hill is aimed directly at breaking the vicious cycles of abuse and neglect, and building in their place cycles of success. We not only work with broken families of today, we work to build successful families of tomorrow. The nurturing environment allows every child the opportunity to learn how to succeed as an adult. 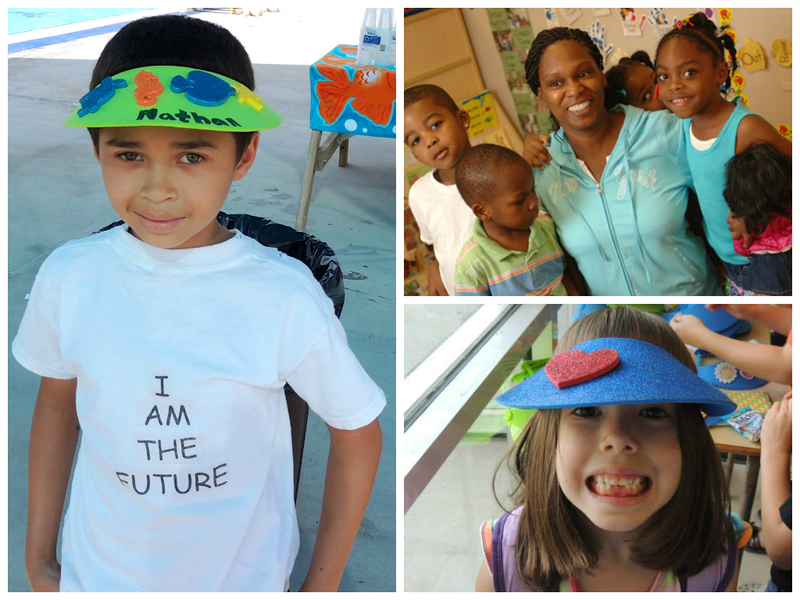 Coyote Hill makes a lasting, positive change in the children we serve. Nationally, only 50% of children in foster care graduate from high school. Coyote Hill’s graduation rate is 100%. Every child that has been with us through their senior year has graduated. When you invest in Coyote Hill, you invest in the future of our community. ACTS builds partnerships between Columbia and its sister city of Kutaisi, Georgia, including for health care, education, and humanitarian aid. Children are the focus of projects such as iodized salt drives that combatted developmental disorders, a summer camp where kids learn to manage diabetes, and clinics for impoverished mothers and infants. For 20 years, ACTS has rallied hundreds to open their hearts and help a struggling young democracy survive. Whether packing donated drugs and medical supplies for refugees or giving iodized salt, eyeglasses, used books or toys, mid-Missourians have been there for Georgia. ACTS makes sure these lovingly donated items go to those who need them most. Columbia and Kutaisi’s sister-city relationship truly relies on community engagement to thrive. For two decades, exchanges of medical, business and government professionals and college students have educated and broadened viewpoints of people in both cities. ACTS continues to prove that even small efforts to reach out can make a huge difference. The New Wave Corporation was incorporated and KOPN started to provide an educational, non-commercial communication service for and by citizens of our area to stimulate our listeners’ awareness of our community and world, and promote a better understanding of our neighbors—next door and across the oceans. 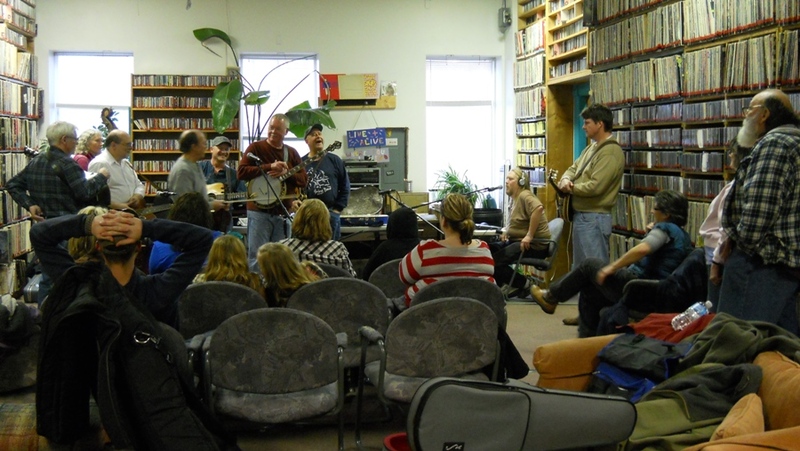 Independent, KOPN welcomes all community members to participate–offering audio production training and giving access to facilities and airwaves for quality local programming; provides diverse musical genres and viewpoints and a neutral forum for issues discussions; fosters democracy and social justice; and archives selected recorded materials. The well-being of community depends on depth and breadth in knowledge and on free exchange of varied points of view. Multiplicity in perspective helps attain clearer understanding of situations. Supporting your independent, local, open-access media is an essential way to assure your access to diverse vantages and to forums for your own expression. The mission of Fun City Youth Academy is to engage area youth and their parents in academic and cultural programs that promote academic achievement, self respect, and social responsibility. 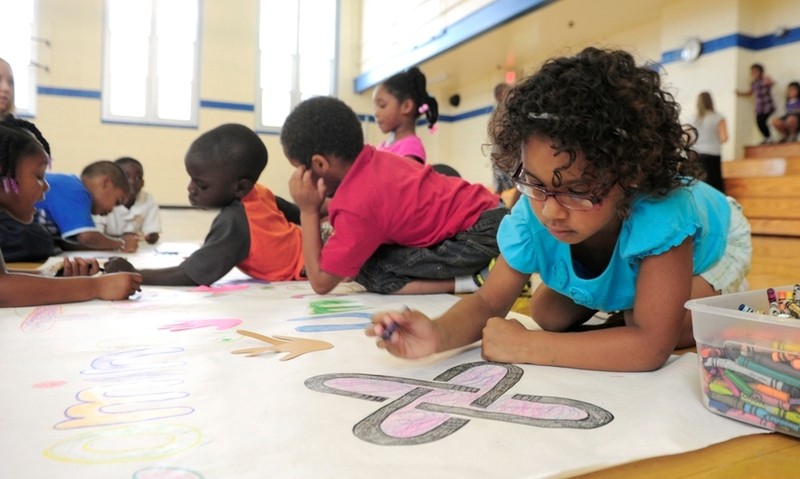 The Summer Academy is an 8 week program in collaboration with the Columbia Public Schools. The Saturday Academy is held for 31 weeks during the school year. The Summer Academy combats “summer fade” as low income children can lose two months of reading and math skills if they lack learning opportunities over the school break The Saturday Academy focuses on building reading skills. In both, children learn about African American history, culture and accomplishments to increase their sense of self-worth. Prevention of the Achievement gap. Collaboration with Columbia Public Schools. Focus on learning: reading and math, with art, science, sports. Character-building: African American history and culture, teaching respect, responsibility. Low overhead, dedicated staff and board. Effective use of volunteers. Happy kids, proud parents. Everybody wins! Food is Good! The CCUA works to strengthen our local and urban food systems with all their environmental, health, social and economic benefits. Boiled down to three main objectives: we work to feed and educate our community, help our neighbors grow, and train the next generation of farmers. CCUA uses several programs to reach these objectives. The Opportunity Garden program empowers low-income families to garden by providing the basics to get started and 3 years of mentoring. Hands-on education at our Urban Farm teaches about good food and gardening. The Planting for the Pantry program connects these dots in a philanthropy that feeds those in need today, tomorrow and in the future. CCUA stretches every dollar it receives to make the biggest impact. We work in neighborhoods that have the greatest need in terms of obesity, poverty and crime. Gardening gets residents outside, teaches long-term planning, provides healthy food and strengthens community bonds. Food is not our only end product; it is healthy and stable communities. The Central Missouri Humane Society cares for injured abandoned,abused,unwanted and stray animals in Boone and surrounding areas. We are the major animal adoption facility in the area,adopting out thousands of animals each year.Our veterinary clinic is the largest provider of vaccination,spay or neuter services for pets owned by low- income families in Boone County. These services help keep thousands of pets healthy and prevent the birth of thousands of unwanted puppies and kittens. Our professional staff will handle thousands of visitors and callers annually requesting information on a variety of animal related issues. Those wanting to adopt a family pet will have vaccinated,veterinary examined and already spayed or neutered cats and dogs to select from at the shelter, or at our many off site adoption events. Over 400 volunteers expand our shelter capacity with over 100 foster care homes and thousands of volunteer service hours. 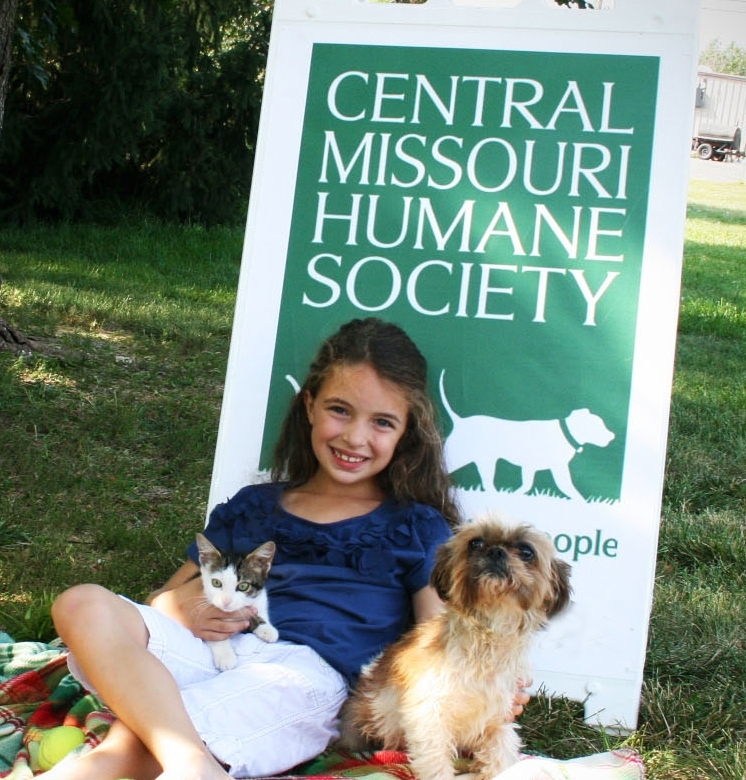 The Central Missouri Humane Society’s mission is animal welfare and protection. Over 4,000 animals annually will come to the shelter in need of emergency or temporary sheltering. Our committed and dedicated staff will provide veterinary medical services and compassionate care while working tirelessly to find them new homes. Our veterinary clinic team is on the front lines of stopping pet overpopulation. We can continue to advocate on behalf of animals because of the support of a caring public. CHA Low-Income Services, Inc. (CHALIS), partners with the Columbia Housing Authority (CHA) to provide programming, activities, and resource and referral services to help children succeed in school and in life; support families working toward self-sufficiency; and enable seniors and persons with disabilities to live independently, and more. As part of the Columbia Housing Authority (CHA), CHALIS has unique access to the populations it serves. 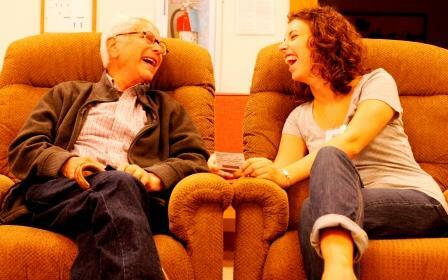 The CHA provides housing to thousands of individuals–newborn to elderly–living with low-incomes and/or disabilities. CHALIS is their convenient link to free quality programming, individual case management, and coordination of referrals. CHALIS collaborates with numerous, well-known local organizations such as Columbia Public Schools and Boys and Girls Club, to prevent duplication of service and work toward positive community-wide outcomes. We are known for efficient and effective use of resources. Outside evaluators rate CHALIS very high on all management indicators. 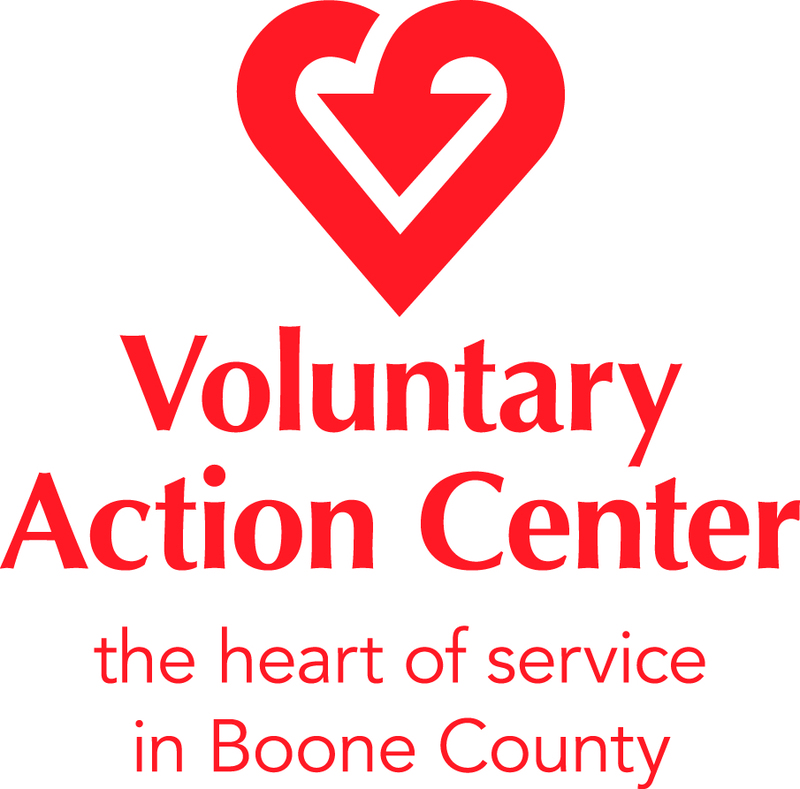 Voluntary Action Center is a vital resource for the City of Columbia and Boone County community, the best “first and last” place to go when someone needs help. Offering a wide range of services and with a comprehensive knowledge of other resources in the community, VAC is able to effectively meet client needs, leading to greater stability. VAC demonstrates an ability to provide quality services, making the very best of available resources. The agency’s excellent reputation is the result of trust built and maintained for years. Donors can know that VAC is diligent in its administration and use of funds provided, working closely with other agencies to be effective for clients. It’s our mission to make sure all children arrive at kindergarten ready for success by supplying basic needs to struggling families, preventing child abuse and neglect, and ultimately building family resiliency. We help parents create strong families and healthy children because kids who are ready for school are more successful in life. FCFC leads Central Missouri in child advocacy. 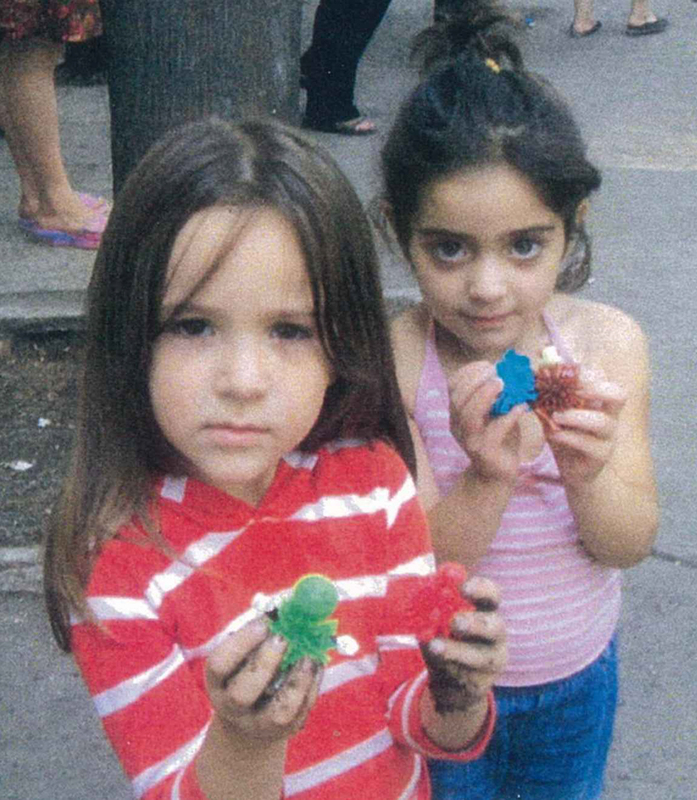 Our child abuse and prevention programs have saved lives and made homes safer for thousands of children. 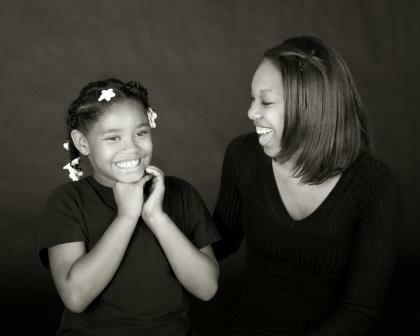 FCFC’s family support programs build resilient families leading to happy, healthy children ready for success in school. We help families break out of poverty, making our community a better place. FCFC creates a stronger community by serving all families – especially those with challenges. Working with multiple agencies, FCFC tackles challenges facing children early when the greatest results can be achieved. FCFC’s proven programs are models for other communities. We create better communities for children, a key for a brighter future. Each year hundreds of families call Ronald McDonald House of Mid-Missouri their “home-away-from-home” for one day, one month, and sometimes even longer. Our House cannot cure children, but it can provide a place where parents can be comforted while staying within close proximity to where their child is receiving medical treatment, and this can make a remarkable difference to a child bravely battling an illness. At our House, families — often including the children receiving care — can sleep, eat, relax and find support from others in similar situations. Families are asked for a small, nightly donation; however no one is turned away due to an inability to pay. The Ronald McDonald House is built on the simple idea that nothing else should matter when a family is focused on healing their child – not where they can afford to stay, where they will get their next meal or where they will lay their head at night to rest. We believe that when a child is sick or injured the love and support of family is as powerful as the strongest medicine prescribed. Ronald McDonald Houses are known around the world as “Houses that Love Built” because of the tremendous outpouring of community support that makes each House possible. Ronald McDonald House of Mid-Missouri contributes to Columbia’s reputation for outstanding quality of care and helps support those families traveling great distances for medical treatment. 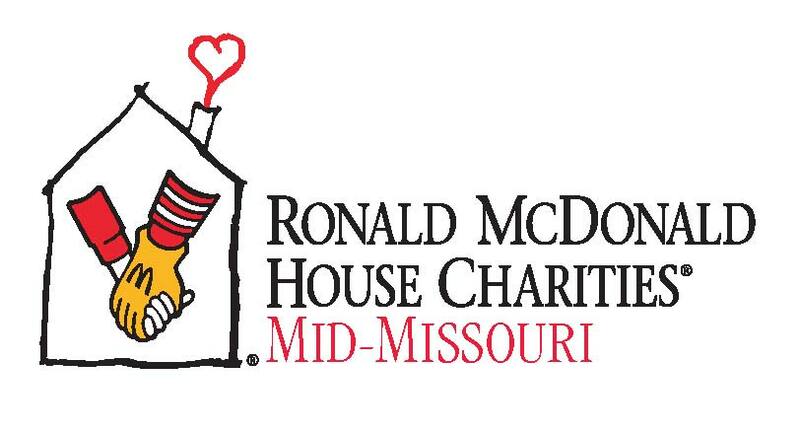 As a private charity, Ronald McDonald House Charities® of Mid-Missouri is supported entirely by the generosity of individuals, businesses, organizations and private foundations. Last year more than 300 individuals and groups of individuals provided over 1,500 hours of volunteer service in support of the Ronald McDonald House. Volunteer information and a wish-list can be found on our website at rmhcmidmo.org. MU Adult Day Connection, an adult day healthcare center, provides nursing care, social work, activities and occupational therapy to seniors and disabled persons. Services provide meaning and belonging to the participants. Over 40 volunteers assist our staff to provide individual attention, and families rely on ADC when they work or need rest. Adult Day Connection, the only adult day center in Boone County, allows families to balance work and caregiving. Families know their loved one is receiving person centered activities, care and individual attention that will maintain health and stimulation. Participants feel a sense of belonging and safety and the feeling of isolation is reduced. Electric keyboard, craft supplies, lift chairs, furniture that can be used in the redesign of the center. The Intersection builds a healthy community for children by providing an after school community operating on positive values as a safe and caring place to be M – F afternoons, without fee or charge. We provide tutoring, serve a snack, require attendance in classes supporting academics, character building, hands on science, social skills, scouting, and financial literacy, and recreation activities. We also serve a free hot meal daily. The Intersection is great because when people come together around assets such as high expectations, caring and social justice, and respect, it challenges adults and children alike to be their best. This is important because most of the deeply formative lessons we learn in life are ‘caught’ not taught: they are ‘caught’ be exposure to examples of those lessons in action. As the popular media gives our children fewer examples of real ‘assets’ in practice, it becomes even more vital that they see adults trying to model assets like these in community. The Intersection deserves our communities’ support because it is good economics. Every child who chooses a productive life as a tax paying, responsible member of society saves our community hundreds of thousands of dollars throughout their lifetime. Each child who lives at their fullest potential may be the one to make that great discovery we need like to cure cancer, eliminate carbon emissions, etc. That deserves our financial support. Our primary goal is to match donors to causes they care about most. To do this we provide easy, powerful, and cost-effective ways to increase philanthropy in Columbia and Boone County. Our funds enable the power of voluntary giving to change communities for the better. CoMoGives is but one of many ways we work together locally to improve lives. We care about our communities and have developed a strong infrastructure to manage and administrate donor funds for charitable purposes. Our 21 member board and staff reflect our community; and our investment and I.T. partners have set the standards for best practices. We work with our donors to increase the impact of their charitable gifts. The Community Foundation is by and for the local community, and we respect every donor and dollar that comes to and through us for local good. We want to be the philanthropic hub of Columbia and Boone County so that the broadest array of citizens can experience the joys both of giving and receiving as we work together to enhance our communities. Always seeking Community Foundation prospective donors, future board members, and CFCM ambassadors! LFCS is a statewide agency that brings over 140 years of experience of serving people in the community. 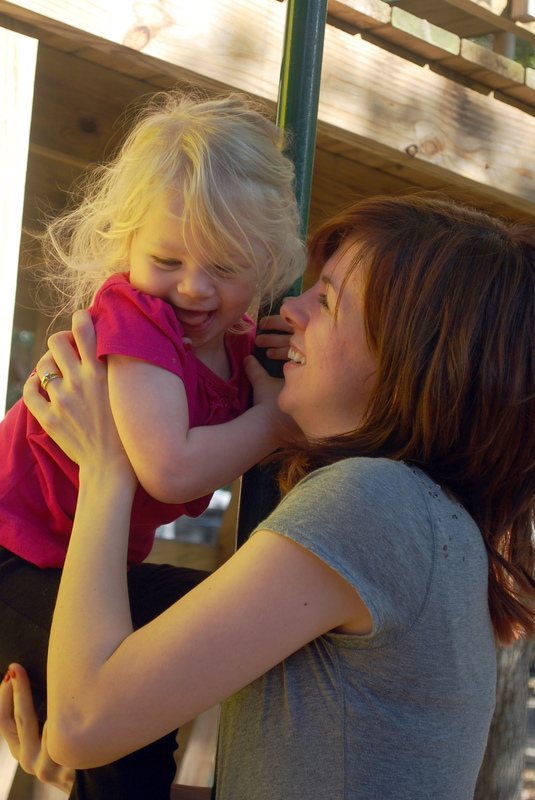 Our agency provides pregnancy counseling, foster care, and adoption. We work with pregnant and parenting teens in the community to continue or complete their education, deliver healthy babies, and become the best parents they can be. We work to meet the needs of those living in poverty who are pregnant and parenting to give their babies the best start in life as possible, whether through parenting or making a plan of adoption. Our staff has over 80 years of combined experience serving clients in need. Our services are built on the client’s strengths and are flexible to eliminate barriers to success. Our agency is governed by good financial stewardship. We utilize all of our funding to leverage additional funding to support our services. For every $1 locally we raise, we are able to leverage and additional $3 through state, federal, and other grant dollars. Our budget is transparent and accountable for the services provided. We offer care and support at no charge to families and individuals living with Alzheimer’s and other dementias. Programs include a 24-hour Helpline, care consultation, dementia-specific educational workshops, caregiver support groups, Medic Alert®+ Safe Return®, caregiver respite reimbursement, and physician outreach. The Alzheimer’s Association is the largest private, nonprofit funder of Alzheimer’s disease research. We also work with our statewide network of volunteers to advocate for the needs and rights of those affected by Alzheimer’s disease. Our vision is a “world without Alzheimer’s” – a goal that our dedicated staff works toward everyday. We need community financial support in order to continue providing services at no charge to the 36,500 families living with Alzheimer’s in our 58-county chapter territory. We are the premier source of information, referral and support for persons with memory loss disorders, their families and caregivers. The Boy Scouts of America, Great Rivers Council, provides a program for young people ages 7-20 that builds character, teaches them citizenship, and develops personal fitness. The BSA leads young people to make ethical and moral choices, become self-reliant, and take a prominent role in civic engagement over their lifetimes. Prepare today. Lead tomorrow. Scouts stand for character, confidence, leadership, values and great memories. Together with your help, the Boy Scouts of America will continue to motivate young people with our message to make ethical and moral choices over their lifetimes.Help us inspire a youth to be a leader of tomorrow and ensure that mid-Missouri youth will experience all that Scouting has to offer. Woodhaven empowers people with developmental disabilities to succeed by assisting them in their own homes and supporting them as they work, volunteer and form relationships in the community. Services are built around the specific needs of the individual and designed to help each person achieve independence and full inclusion on their own terms. 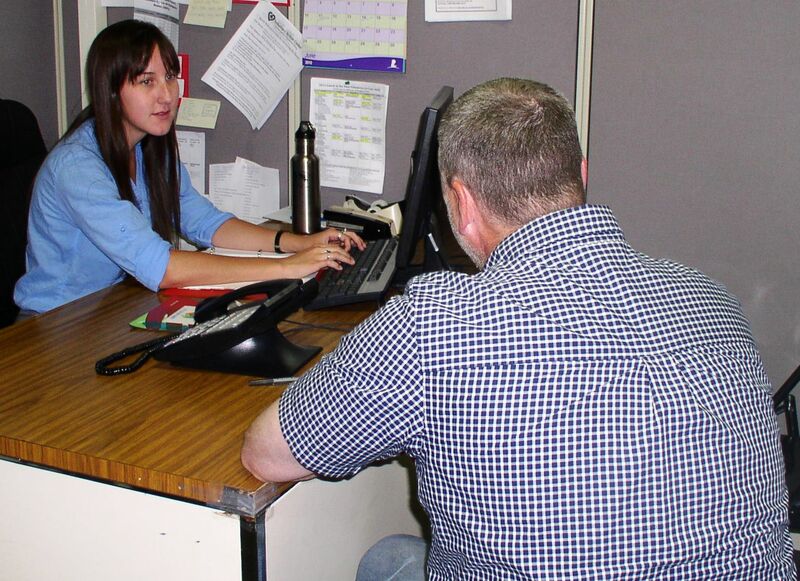 Woodhaven’s team approach makes it uniquely capable of supporting individuals with a variety of very challenging needs. 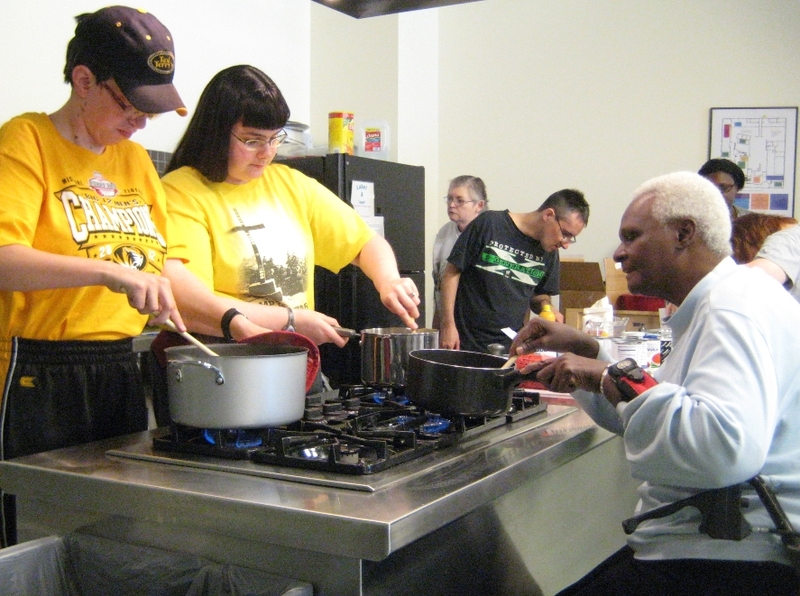 Its 49-year history in Columbia, attention to employing exceptional staff members, and private support from church and community friends allows Woodhaven to provide the enhanced supports that change people’s lives. 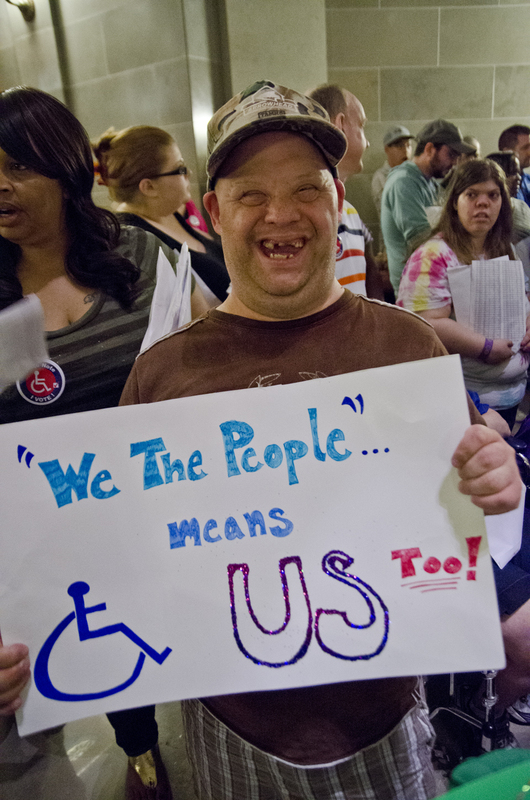 A community that is inclusive of people with disabilities is richer, more diverse, and better serves all its citizens. Woodhaven provides the needed supports for people with developmental disabilities to achieve full and productive lives. As a result, these individuals will find new ways to get involved in their community and change the face of ability. Seniors Matter is a collaborative partnership with Adult Day Connection, Boone County Council on Aging, and Meals on Wheels. 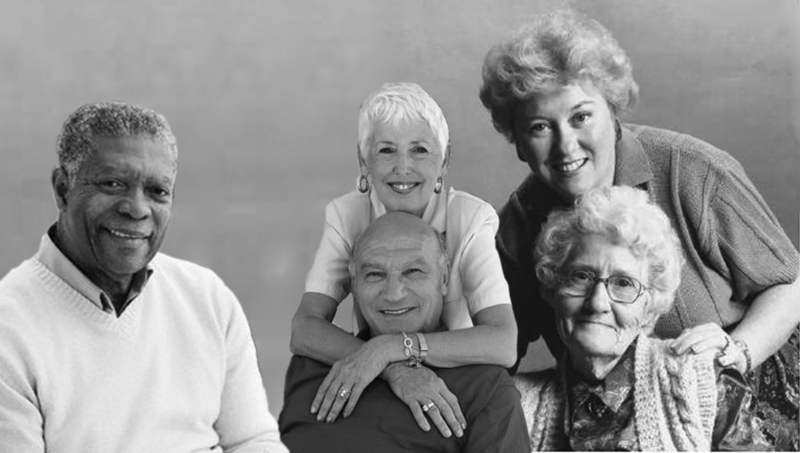 All three agencies assist older adults in various ways as they transition through different stages of aging but in the end have the same goal of improving the quality of life for older adults. Seniors Matter is the result of a loss of funding in our community – A perfect example of making lemonade from lemons. Seniors Matter equally benefits all three agencies and shares the resources to help us each be more effective. Community financial support allows Seniors Matter to work for the seniors of Columbia. If you support the mission of all three agencies, this is a collaborative work. Seniors Matter was formed to assist and with community financial support, we hope to carry out this mission for many years to come. Meals on Wheels of Columbia assists adults in the community who are dealing with temporary disability or long term health conditions and who are physically unable to make meals for themselves. Hot, well-balanced lunches are prepared and delivered Monday through Friday by volunteers throughout Columbia. Meals on Wheels not only provides hot, nutritious meals to adults in need, but its 160 volunteers provide friendly smiles, and warm greetings to clients, many of whom are home bound and have limited interaction with other individuals in the community. Meals on Wheels assist families and adults who desire to stay in their homes with support. Community financial support allows Meals on Wheels to continue serving hot, nutritious lunches to members of the community who have the inclination to live independently but not the ability. A majority of Meals on Wheels clients are senior citizens who in the prime of their lives, made contributions great and small to the city of Columbia. What we do sounds complicated with jargon like care plans & coordinating services but to keep it simple; we help low-income seniors, often overlooked and alone, stay safe at home. We do what many people do for their grandparents: yard work, home repairs, friendly visiting, doctor visits, grocery shopping and helping them meet other basic needs. 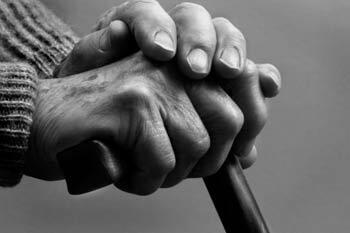 We are the only organization in the area that focuses solely on the needs of low-income seniors. Low-income seniors face barriers to accessing the complex network of community resourcesservices that would improve their quality of life. These resources can mean the difference between living independently or requiring expensive institutional care. It’s expensive to age! Seniors in poverty are more likely to be in poor health, have higher healthcare costs, & an increased likelihood of using long term care, which has an average cost of $55, 000 a year. Our cost effective, tailored services promote independence by blending volunteers & trained staff, costing less than $800 a year. Volunteers are needed for: friendly visiting, food pantry delivery, snow shoveling and special one time projects. Job Point is mid-Missouri’s premier employment center. Since 1965, we have been linking people and jobs through innovative training, education and business partnership, enriching the communities where we work and live. We specialize in preparing individuals to enter the workforce, serving high risk youth ages 16+ and adults, and those with disabilities, social, economic, legal or educational disadvantages. Job Point offers a hand up, not a hand out. By “teaching to fish” we assist unemployed Mid-Missourians to achieve self-sufficiency. Rather than draining public resources, newly trained graduates enter the workforce and become productive, tax-paying citizens, fueling the local economy with increased disposable income. The return on investment is unquestionably powerful. Assisting individuals to achieve economic independence builds bridges out of poverty. Through training and internships, Job Point fills a community need for competent, compassionate healthcare and skilled construction workers. An increase in safe, affordable housing and improved infrastructure on local roads and bridges is an added bonus. Job Point consistently seeks volunteer assistance for tutoring and general office work. In-kind needs include office equipment, ergonomic office chairs, economical vehicles, health/nursing and construction tools and equipment, printing, advertising and business related staff training. The “We Always Swing”® Jazz Series, founded in 1995 as a community-based, all-jazz concert presentation and education endeavor, was created to: Present, preserve, promote AND celebrate the great American art form known as “Jazz,” featuring concerts with the world’s greatest artists augmented by educational activities involving K-12/College students. 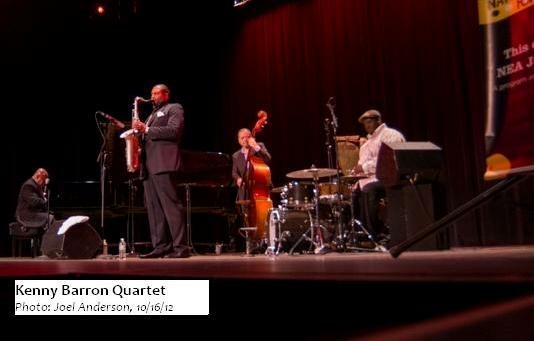 The arts-driven Jazz Series, which has been recognized nationally by the National Endowment for the Arts and National Public Radio, remains one of FEWER THAN 10 such community-based jazz organizations IN THE UNITED STATES located in a market the size of Central Missouri – and the ONLY such entity of its kind in outstate Missouri. A one-of-a-kind project, we continue to attract the greatest musicians in the world to the community. We provide educational programs to schools, K-Univ, as well as the community at-large, that otherwise would not exist; we elevate the community’s standing nationally; on a financial note, tickets account for only 30% of our budget. We need event-related assistance; we also need volunteers with knowledge of marketing and fundraising. In-kind quality printers as well as printing/marketing/advertising opportunities would have a major impact. Additional software and knowledge of marketing and fundraising would be helpful. 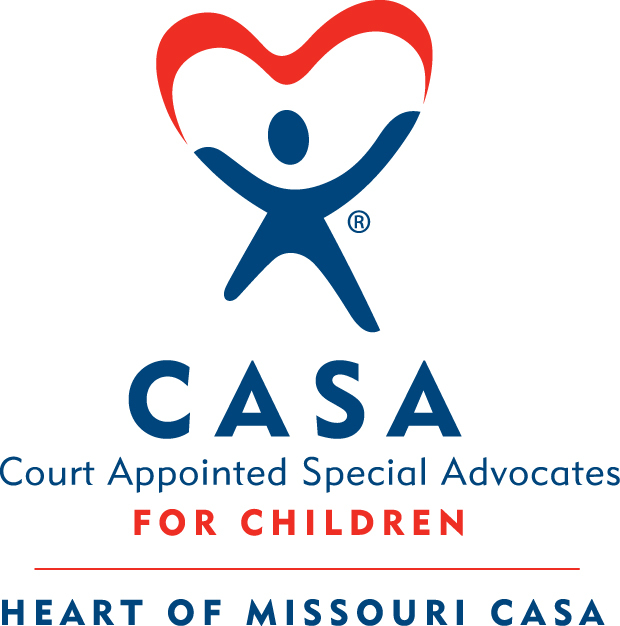 Through our trained Court Appointed Special Advocate, or CASA, volunteers we provide a voice for our community’s most vulnerable children, those who have experienced abuse and/or neglect and now find themselves in the Family Court System. 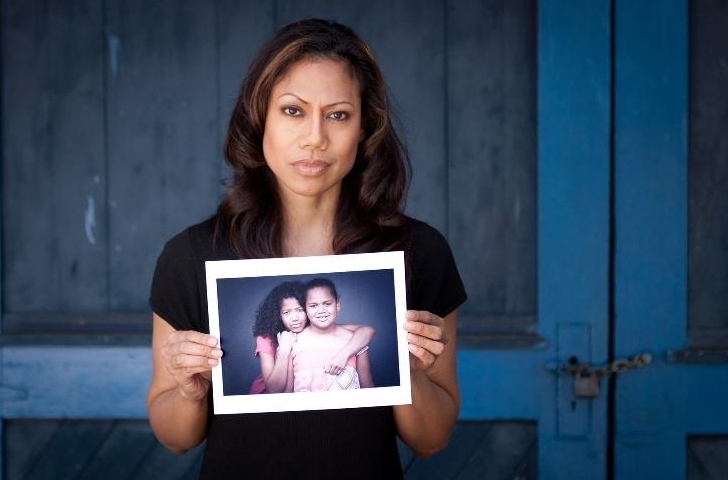 CASA volunteers ensure that foster children do not get lost in the overburdened child welfare system. In 2012, the number of children in our local child welfare system skyrocketed, and the system is heavily overburdened. The professionals’ caseloads are exceedingly high, but CASA volunteers only have one case. CASA volunteers stay with their child or sibling set until their case closes, thereby ensuring that child has a safe, permanent home.